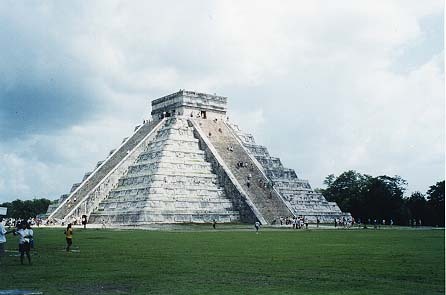 The Yucatán Peninsula's best known and most visited Maya Ruins. 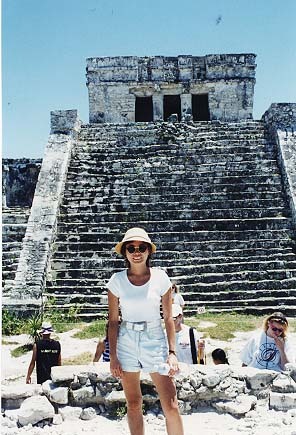 Maya ruins mostly Toltec influenced with images of conquest and violence. 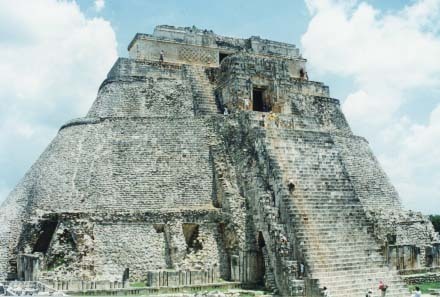 Picture of El Castillo rises 75 ft above the surrounding green plains. Name means 'trice built' in Maya. 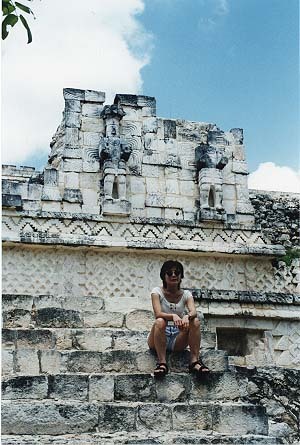 Most beautiful Maya ruins in the Yucatán. 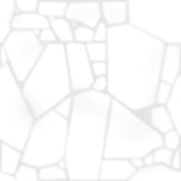 The architecture is more purely Maya, with horizontal contours and richly ornamented stone facades. Puuc ruins, about 19 Km SE of Uxmal. The architecture here reflects Chenes influences. 131 Km south of Cancun, the Castillo overlooks the turquoise Caribbean.